How do you leverage the resources of an established company while maintaining the agility and risk-taking of a startup? In this special reunion broadcast of Mastering Innovation on Sirius XM Channel 132, Business Radio Powered by The Wharton School, guest Brian Fields (WG’03), VP and General Manager of Groupon’s Things to Do, discussed how the firm works to achieve such ambidexterity. Fields elaborated on how Groupon uses feedback from customers in conjunction with data from their widely used mobile app to generate new ideas that maximize value for customers, merchants, and shareholders. Once they have these ideas, they move quickly to validate them and test underlying hypotheses. One tactic that Groupon uses is assembling creative and agile “tiger teams,” or groups of leaders from cross-functional backgrounds, and giving them problems to solve together. However, the key to making it all work is building a culture that embraces failure and empowers people to constantly learn and grow. Saikat Chaudhuri: Learning must be a continuous part of the innovation process. How do you make that happen? Is it just hiring people with the right attitude? Or is there more to it, process-wise and organization-wise, and how you structure yourselves? Brian Fields: You have to be comfortable coming into an environment that is both a mix of a large company and a startup company. We have thousands of employees, we’re in 15 countries, there are billions of dollars of revenue, and we’re publicly traded. There are a lot of aspects of a large company there, but at the same time, we’ve been pivoting our business model towards this marketplace. You have to be able to work in a matrix – a cross-functional technology company that’s both managing Wall Street and managing a large business, while building for the future as well. We certainly have a lot of process behind it as well. When we test new things, we try to be very rigorous about using our resources wisely, such as having a strong hypothesis on the front-end that’s documented and a short memo that we agree upon. What are we testing, and what are the key metrics that we’re looking for to understand if this is something we should go forward with or not? What’s the least expensive way to test it? What’s the fastest way we could get there? Then, looking at the various toll gates along the way and saying, “Are the metrics that we expected from this being hit?” If yes, keep going. If no, try to understand why and if there’s a way we can influence it. Sometimes, you get to a point where you say, “This is not something we’re going to go forward with because our underlying hypothesis was not accurate,” so you just hope you can get there as fast and as inexpensively as possible. Chaudhuri: I loved what you said, which is that you have to have a mix of a startup as well as an incumbent company feel. The reason I like it is because there are a lot of myths and notions which are not always correct. One notion is that the startup has all the advantages, and the incumbent doesn’t have any. The second notion is that incumbents are being disrupted and someone’s going to get rid of them: it’s very hard for them to respond, and most of them will just go away. A number do, but not all. The third is, startups will never grow up. They will always remain startups and always be agile. But, of course, this is not true. When you look at the likes of Google or Facebook, they are no longer startups. They are being disrupted. They can’t come up with everything great. I loved what you said about this balance of a startup mentality coupled with these benefits from the established firms – needs such as processes, resources, brands, and all those things that you have, but you lose a little bit of the agility sometimes as a result. Can you talk a little bit about the tradeoffs of this hybrid mentality? How do you balance that? Fields: That’s a good question. It’s a place you want to get to as a business, where there’s nothing at all wrong with having a lot of resources at your disposal. Hopefully, you build the mode around your business model, which affords you the ability to experiment and test. The key is to have a culture that doesn’t have a fear of failure. You can’t penalize that too much. You have to empower the teams to make decisions, move quickly, and not become too political. In a large company, that can happen. We do something that we call “tiger teams,” where we take small teams of leaders across the company who come from cross-functional backgrounds, and we give them a problem to solve. They have to report very frequently back to our management team on what they’re learning, and they typically get assigned a key metric to work against. We track whether the metric is green, yellow, or red. They report back to the team every couple of weeks to drive a rapid innovation cycle and to make sure we’re taking advantage of all the cross-functional resources we have. Chaudhuri: I love that. You’ve built into your structure the openness, the creativity, the agility, and the accountability in order to manage both sides really well. You get some of the autonomy or the freedom to think and do things, but you’ve got certain set goals and feedback mechanisms to achieve that. Fields: Yes. Without the accountability, something like this could turn into a sprawl. Again, the way we typically look at it is: what do we have to believe to invest even more in this idea? That’s what we’re trying to get to as fast as we can. Chaudhuri: That makes sense. In splitting up, say, Alphabet and the mainstream part of Google, they recognize that, too. It’s cool to do experiments on all these things, but at some point, you’ve got to figure out what’s the business model around it, too. You mentioned the culture of innovation is clearly important, and one of the things is to empower people and mitigate the risk of failure – rather, give people the comfort that even if they fail with these experiments, that’s maybe not a negative thing and perhaps a positive thing, and they learn a lot. How do you actually inculcate such a culture in the organization? Fields: You have to build trust with people. What you say is important, but what you do is often more important. The truth is that if you have a team that’s taking a risk and it doesn’t work out, how you treat that team after is what is going to drive culture across the company because everyone’s watching – particularly, anything that’s high-profile that doesn’t go forward, which happens, that people invest a lot of time in. What do you do with the team at the end? Are they rewarded with an even more challenging opportunity and something exciting? Or, are they sent off to Siberia? We focus very much on putting people with high potential and future leaders into those roles and making sure that when it’s time to roll off those roles, they go into something really positive and challenging for the next one, which recognizes that there is learning in failure. Chaudhuri: That’s such a powerful mechanism because in this day and age, people share and talk about everything that happens all the time. Both the negative examples, but also the positive ones, they really come to the force. That’s a nice way to do it, and if you treat people well, then that quickly gets around the company. Brian Fields is the VP and General Manager of Groupon’s Things To Do business. Prior to this role, Fields was VP of Corporate Development for Groupon, responsible for establishing and managing partnerships globally. Prior to joining Groupon, Fields worked in the Tribune Company’s corporate development group, with a focus on evaluating and executing Tribune’s venture investments, acquisitions, and joint ventures. Fields represented Tribune on the boards of NimbleTV (sold to Synacor), Metromix (sold to Gannett), Journatic and was on the advisory board of Techstars Chicago. Before Tribune, Fields worked for the management consulting firm Booz & Company, primarily focused on clients in media and entertainment. 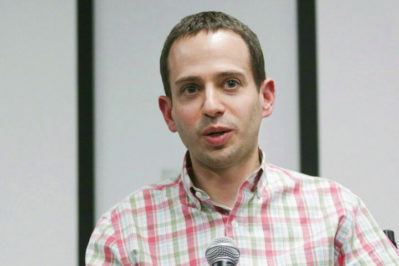 Fields graduated from Northwestern University with a BA in economics and earned his MBA at The Wharton School of the University of Pennsylvania (WG’03). You can find more at @BrianFields.